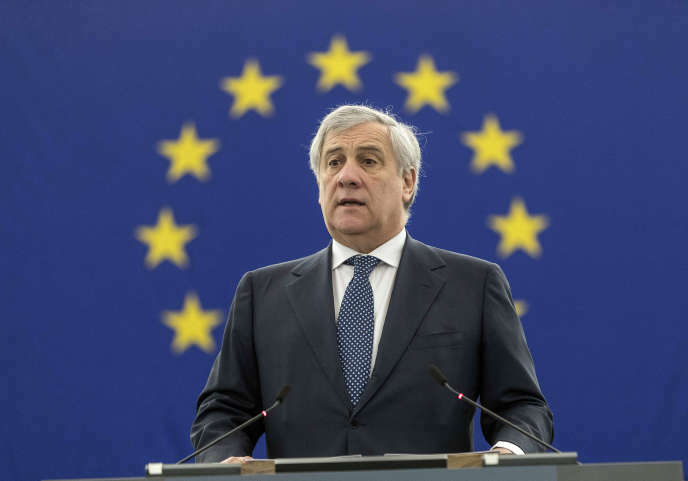 President of the European Parliament accused of "historical revisionism"
The Italian Antonio Tajani has angered Croatia and Slovenia by proclaiming "Long live Italian Istria, Long live Italian Dalmatia" at a commemoration. Right arm of Silvio Berlusconi in Rome and President of the European Parliament in Strasbourg, the Italian Antonio Tajani is customary contortions. He usually ensures that his statements on Italian political ground remain faithful to the line of his party (Forza Italia, right), while being vague enough not to be misinterpreted at the European level. But Sunday, February 10, in Basovizza, a peripheral district of Trieste close to the Slovenian border, during the "Day of Remembrance", this balance has shattered. At a ceremony organized for this memory day for the victims of the "Foibe massacres", the President of the European Parliament concluded his speech with a "Vive Trieste, long live Italian Istria, long live Italian Dalmatia, long live the exiles and long live the children of these exiles " which immediately provoked the anger of his Croatian and Slovenian neighbors, awakening the memory of an episode of the second world war which remains all the more alive as it has long been passed under silence. Having become Italian at the end of the first world war, after the break-up of the Austro-Hungarian empire, the region of Trieste, Istria and Dalmatia were populated by Italians (especially in the cities), but also by Slavs, mainly Croats and Slovenes. From the 1920s, during fascism, they were victims of a policy of forced Italianization, particularly violent, of which Croats and Slovenes keep a very lively memory. Then with the advance of the Yugoslav partisans in the region, from the autumn of 1943, the natural caves ("foibe") of the area began to become the scene of reprisals, the actual balance sheet remains the subject of fierce controversy . After being initially purely political, aimed at soldiers or members of the Fascist Party, the summary executions took, in 1945, a character of ethnic cleansing. Subsequently, the memory of this drama was repressed for half a century, because of the importance of the Italian Communist Party, for which the victims were all fascists, and the Italian desire not to thwart communist Yugoslavia neighbor. Until the 1990s, only nostalgic fascist ventennio evoked the drama of "foibe". And it was only in 2004, on the decision of the Berlusconi government (in which the National Alliance post-fascists participated), that the "Remembrance Day" was established. Thus, by celebrating "Italian Istria" and "Italian Dalmatia" , the President of the European Parliament took up one of the battlehorses of the Berlusconian right: the fight against the cultural hegemony of the Communists in the Italy of the after the war, whose occultation of the drama "foibe" is, according to him, one of the most glaring proofs. Problem: on the other side of the border, these statements can only be felt as provocations. Thus, the Croatian and Slovenian governments expressed their anger on Monday. The Croatian conservative prime minister, Andrej Plenkovic, Tajani's ally in the European Parliament, said he was "extremely unhappy" with his remarks and immediately asked for clarification. His Slovenian counterpart spoke to him about "unprecedented historical revisionism". "Such declarations do not facilitate the reconciliation, coexistence and values ​​of civilization on which the European Union was built," said Croatian President Kolinda Grabar-Kitarovic, also a member of the European People's Party, like Tajani. .
Back on Monday in Strasbourg for the plenary session of Parliament, Mr Tajani was forced to explain himself. Without apology, Silvio Berlusconi's ally said he was "sorry if [his] words were misunderstood". "I made reference to history and to Italian Dalmatia, but this reference is not at all a territorial claim. I wanted to recall the thousands of Italian victims who were thrown into the mass graves, "he said. Not enough to really extinguish the wrath of Croatian MEPs and Slovenes in the Chamber. "You know that Dalmatia and Istria are Croatian regions that have suffered greatly from the Italian occupation and the imperialist regime. It is scandalous that the President of the European Parliament is making imperialist remarks, " said nationalist MEP Ruza Tomasic.